As the genre of alternate reality gaming continues to grow, so does ARGNet. Last year, we welcomed the additions of five new staff writers, and while we officially announced the addition of three in April, we were remiss in failing to officially welcome Nicko Demeter and Jessica Price to our staff in the latter stages of 2006. As faithful readers (you all are, aren’t you?) you’ll have already had an opportunity to enjoy Nicko’s articles on topics like Stranger Adventures and Perplex City, while Jessica has written about Ny Takma and Sammeeeees and was a driving force behind the 2006 Year in Review. Although they’ve both been kicking around our staff lounge for a while, partaking of our wonderful buffet of nachos, we want to officially welcome these two bright, enthusiastic writers to our staff. 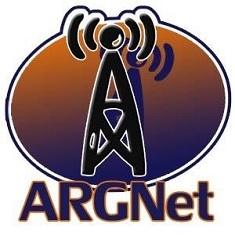 If you’ve not visited the ARGNet web site recently — perhaps you subscribe to our RSS feed instead — this month has been one of the busiest periods in ARG history. Our What’s Hot section has ten games we’re currently keeping tabs on, and there are a few more which are starting to show up on our radar as well. With all of the news coming out regarding ARGs, we are hoping to find a few good men and women to assist us in writing articles and features for our web site. Therefore, starting today, I am putting out an open call for writers, in the hopes that there are still people out there who don’t mind a little bit of volunteer work in exchange for worldwide notoriety and fame. Okay, maybe not fame, but definitely notoriety. Submissions need to be sent in to [email protected] by 11:59 pm (CST, GMT -6) on Friday, February 2nd, 2007. Naturally, spelling and grammar count, and a submission does not guarantee an invite to join the ARGNet staff. However, we’re confident that through this process, we’ll be able to expand on our award-winning* team of journalists**, so if you’ve always wanted to be a part of our dynamic*** squad of writers, here’s your chance. * No awards have been given to ARGNet in the past. This is simply a precognitive statement. ** The definition of “journalist” is broad enough for us to use this term liberally. *** Dynamic doesn’t even begin to describe our staff.